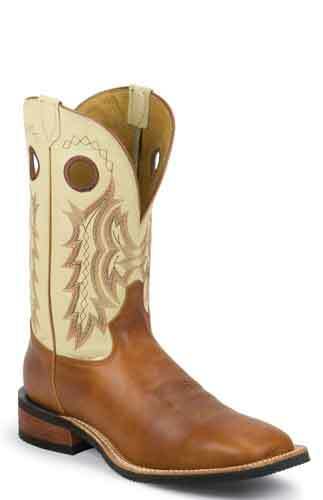 This Tony Lama Americana Creedance Western Boot Features A Suntan Rebel Leather Foot Under An 11" Bone Vector Shaft With Fancy Stitched Detail. Cushion Insole. Double Stitched Welt. Broad Square Toe. 1 3/8" Walking Heel With Spur Ledge. Leather Sole.